Teeth are the foundation of a beautiful smile. Losing a few teeth, be it to age, oral diseases or even an accident can compromise your smile leaving you feeling self-conscious about your image. Fortunately, you don’t have to live the rest of your life with these insecurities. All-on-4 is a revolutionary dental procedure that can help restore your teeth, helping you gain your beautiful smile through a minimally invasive treatment. 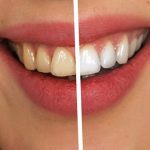 In this article, we are going to look at All-on-4 dental implants treatment cost abroad and why it could be the best solution for you. What is an All-on-4 Dental Implants? 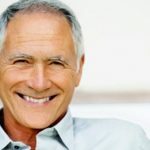 The All-on-4 is a dental implant technique that is recommended for people who have lost some or all their teeth. This treatment involves the placement of titanium implants in the jaw to serve as anchors for a full dental bridge. 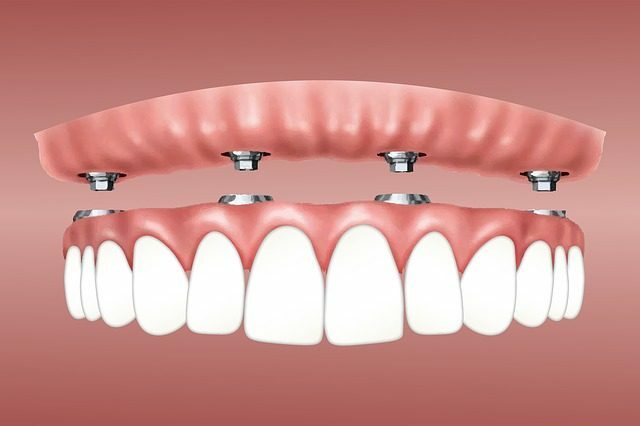 The All-on-4 technique provides the same structural support while requiring a lesser number of dental implants, drastically reducing your overall treatment and recovery times. How does the All-on-4 work? *These are approximate average costs and prices vary greatly depending on the complexity of the case. Why Is Medical Tourism Popular for All-on-4 Implants? Medical tourism for All-on-4 treatment is popular because it provides the cheapest way to get the procedure done professionally. Dental tourism involves the patient travelling abroad in search of a more affordable dental procedure away from their local health care system, while also getting the chance to go on a vacation. We highly advise you to factor in the cost of travel into the total cost of treatment to ensure that you don’t spend more than you should. What are the advantages of the All-on-4? While All-on-4 dental implants work for many people, it might not be the best solution for you. For these reasons, it is crucial that you understand both sides of the treatment option. Your dentist is best placed to tell you whether this treatment is the best way to replace your teeth. 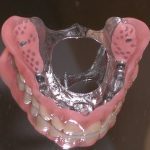 What are the main differences between the All-On-4 and dentures? Unlike dentures, All-on-4 dental implants are fixed and nonremovable. These implants provide a rock solid structure where your prosthetic teeth are securely attached. Dentures, on the other hand, rely on your existing teeth for anchor and suction. All-on-4 treatment gives patients a full set of permanent teeth that feel and function like your natural teeth. Dentures move, complicating the chewing of food. All-on-4 implants don’t cause any pain because they are implanted into a rock solid foundation. Dentures constantly exert pressure on and rub against the gum, causing pain, discomfort, and inflammation. All-on-4 implants provide a smart, long-term investment. The implants can last decades, and if well taken care of, a lifetime, without requiring replacement or restoration. Dentures, on the other hand, need refitting every few years. Am I a good candidate for an All-on-4? All-on-4 dental treatment is not for everyone. This treatment is recommended for people with enough bone structure and density to support the implants. They should also have excellent oral and overall health, and a healthy immune system: Some diseases like diabetes affect the overall outcome of the treatment, it is important that you have your overall health checked before the treatment is done. People who smoke or drink excessively have a higher risk of the procedure failing. During the first consultation, your dentist should conduct a CBCT scan to evaluate the remaining jaw-bone. However, even if you do not have enough jaw bone, the procedure may still be possible but may require bone grafting. 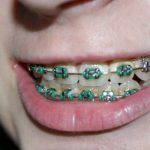 Can the All-on-4 treatment restore both upper and lower teeth? Yes. Both the upper and lower jaw bone can be restored using the All-on-4. Will final restoration be natural-looking? The final restoration on All-on-4 dental implants will be natural looking. At Savina dental clinics, we personalize the treatment, resulting in a natural smile. How much does an All-on-4 cost? The cost of an All-on-4 treatment varies greatly depending on the material used and the number of teeth you need to be restored. The standard All-on-4 procedure involves using acrylic teeth that are built around a titanium framework. This type of denture costs between $20,000 to $30,000 In the USA. In Savina Dental Clinics, Malta this type of denture starts from €6,650, including the four implants. Porcelain all-on-4 dental implants cost between $25,000 to $35,000 in the USA but start at €7,775 at our Maltese Clinic. These dentures are slightly expensive because they are more hard-wearing and realistic looking. During the procedure, your dentist will use sedative medication and local anaesthesia. Hence, you will feel some pressure, but should not experience any pain. After the procedure, however, you should expect some discomfort and post-operation swelling. Your dentist will provide painkillers to use for the first few days after the process. While you can resume regular activity the following day after the treatment, most people prefer to take at least 2 to three days off work, after the surgery. Your dentist should give you detailed instructions on how to take care of the implants in the following weeks or months. During this period, we highly recommend that you stick to a diet of soft foods, avoid smoking, excessive alcohol consumption, and heavy exercise as they may compromise your implants. After a few weeks of proper care, the bonds between the implants and jawbone strengthen, allowing you to return to a healthy diet and activity. Your implants should have fully integrated with the bone in 3 to 4 months, after which the final, permanent restoration is done. 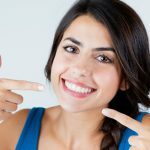 Why Choose Savina Clinic – Dental and Implantology Centres, Malta? We pride ourselves on our highly trained and internationally qualified team of experts. Our top dentists and dental surgeons have undergone training in some of the most reputable dental universities and colleges in the world, including The Royal College of Surgeons London and Universita Vita-Salute San Raffaele in Milan, Italy. Cost saving is one of the main reasons why you should choose Savina Dental Clinic for your dental care abroad. The low cost of living in Malta allows dental tourists to spend a fraction of the amount they would have paid in their country for the same procedure. At Savina Dental Care, we use state of the art technology to provide lasting benefits while meeting international standards. 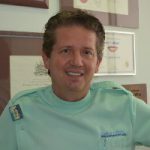 Dr Joseph Xuereb is amongst the top dental implant surgeons in Europe leading the way in dental implantology techniques and other complex dental treatments. All our staff speaks English just as well as they do their mother tongue. This helps to reduce the worries of language barriers. Ryanair and EasyJet and other low-cost carriers provide low budget airline to and from most European cities, making it easy for patients to get affordable treatment. Malta boasts of an excellent medical reputation. It was ranked 5th place in the world by the World Health Organization. Malta enjoys beautiful weather all year round and a myriad of diverse locations, as well as a rich cultural heritage that makes it the perfect destination for dental tourists. « Do Gums Grow Back?